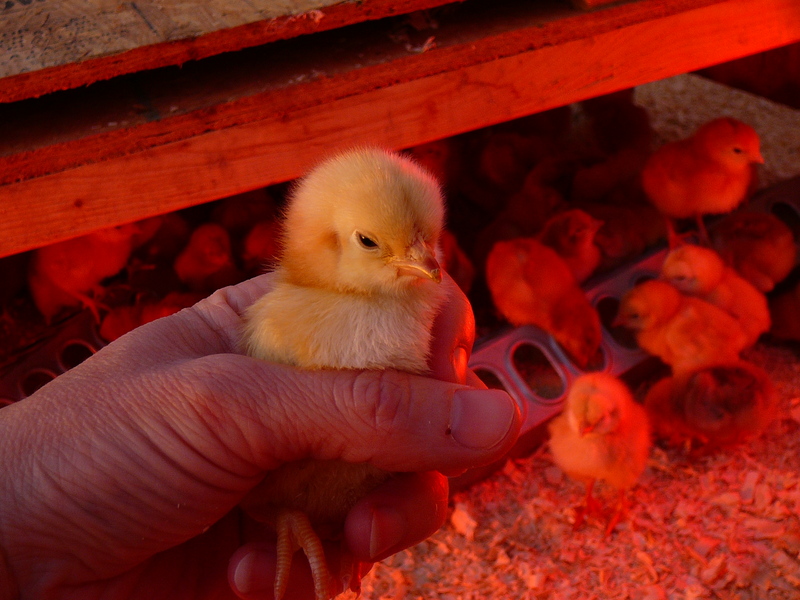 150 baby chicks are happily peeping away in our new light-filled brooder house. In short order they’ll be joined on pasture by guard geese, more chicks, pigs, turkeys, and bees! We’re grateful for the return to cooler temperatures, as it’s slowed the season down a bit. We weren’t ready for summer in March! We’ll have fresh chickens ready for pick-up in the third week of June. Pigs will be ready in Sept, and once again you can reserve a half or whole pig or find individual pork cuts at Brookton’s Market beginning in early October. Turkeys will be ready for Thanksgiving, and we have honey available year-round. Visit our Products & Prices page for details. We’ll post order forms right here in May. Contact us directly if you want to buy honey or order anything before then!